'The ancient site of the Castle had, beyond the memory of the oldest inhabitant, been occupied by a gardener's ground; and the Castle-hill considerably lowered, by taking materials from it for repairing the roads; till in 1770, Mr [William] Hurst caused a handsome modern dwelling-house to be built. ; when the foundation of a bridge across the ditch which surrounded the Castle [was excavated], several large stones which had been part of the fabrick, a ball of ten inches circumference, and a piece or two of silver coin, were found' (Nichols, Leicestershire (1811) , 677). 'Hinckley castle is supposed to have been demolished when it fell into the King's hands, in 1173. It's site had long been occupied as garden ground when, in 1760, it was purchased by William Hurst, Esq., who built a handsome mansion upon it, now the property and residence of Stephen Pilgrim, Esq., steward of the courts leet and baron. When this house was built, the foundations of a bridge which had crossed the castle moat was discovered. 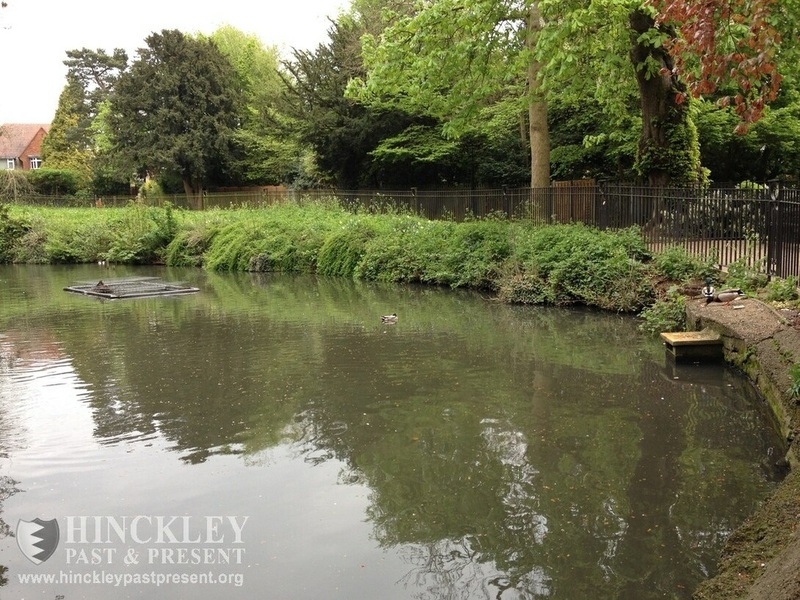 The moat is still supplied from an adjoining spring, and the foundations of the outer walls may yet be traced in many places…' (William White, History, Gazeteer and Directory of Leicestershire, 1863). 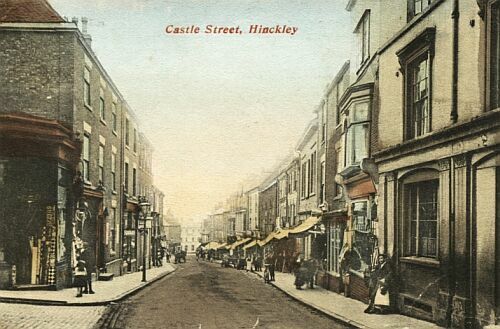 The idea that a stone castle existed at Hinckley cannot be substantiated. Camden's Britannia of 1586 noted only a ditch of the moat and the mound and William Burton, writing before 1622, stated that the castle was "now utterly ruinated and gone, and only the mounts, rampires and trenches were to be seen". 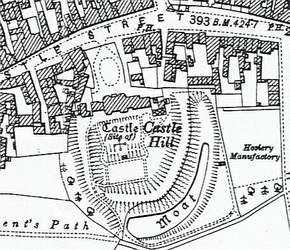 For many years people believed that the castle was a so called "ringwork castle", with a palisade running round the perimeter of the mound and a wooden citadel or keep in the centre. The fact that it was a motte and bailey castle became evident in 1976 when a massive ditch was discovered during the construction of the Co-operative Superstore. It was clear that this was the ditch of a motte and that the existing mound had been the bailey. 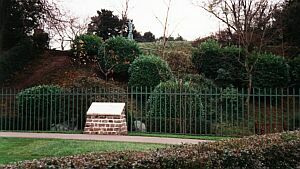 The ditch, which contained animal bones including an ox skull, would have surrounded a conical mound or motte at the Castle Street end of the present mound. The bailey mound still stands to a height of 38 feet at the Argents Mead end [bottom, right] and this may be close to the original height. The earthworks that are visible near the War Memorial were part of the ornamental gardens that were laid out in about 1770 when Castle Hill House was built, though it is possible that they may be the remains of the ramparts of the castle which would have been surmounted by a wooden palisade in medieval times. 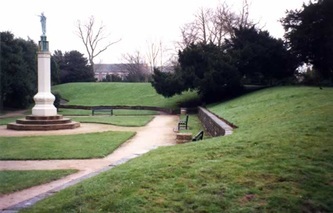 The motte, however, that occupied the Castle Street end and would have been topped by a small keep, was flattened in about 1760 and the earth used to fill the ditches and repair roads. This was done, presumably, to level the site in preparation for the construction of the Hurst's mansion. 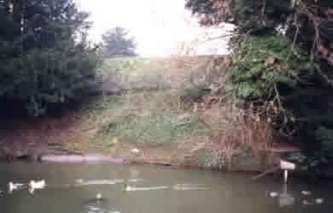 Most of the castle's ditch or moat has been filled in and widened in Argents Mead to create a pond, but despite these alterations the original shape of the mound and moat can be reconstructed. The elliptical shape of the moat is preserved in property boundaries evident on old maps, a depression in the ground can be seen near the car park where the moat was filled in and in 1899 an observer noted that the foundations of the old co-operative store were set at a depth of 17ft in the bed of the moat. Hinckley castle first comes to light in an agreement made between Robert Bossu, the second Earl of Leicester, and Ranulf, Earl of Chester, in about 1150, towards the end of the long Civil War tha plagued King Stephen's reign (1135-1154). According the agreement, no other castles were to be fortified between Hinckley and Hartshill or between Hinckley and Coventry. It represented an attempt by two great lords to establish peace and order in the state of anarchy that prevailed in the absence of any effective royal power. The caste was probably built by Earl Robert to protect his lands during the civil war, though this is far from certain. Hinckley would have been an ideal location, because it was one of the private farms or demesne manors and as such the administrative centre for a large bailiwick that extended as far as Witherley and Sibson and beyond them in Warwickshire. With the return of more stable government under Henry II (1154-1189), the castle was apparently defortified, because it was absent from the list of castles that were surrendered to the King after the revolt of 1173. For the rest of the medieval period a manor house or hunting lodge existed within the castle mound. No resident lord lived there, but the Earl would have made occasional visits for administrative purposes and to hunt in the adjacent woodland, which had become a deer park by the late thirteenth century. We are able to glean some information about the site from medieval documents. In 1279 Edmund, Earl of Lancaster and Leicester, was presumably paying a visit there, since he wrote two letters dated from Hinckley in that year. After his death the manor house with a croft and garden were worth 10/- per annum. The manorial accounts of 1313-14 refer to a payment of 16.5d for mending the gate of the hall and for thatching the stable. There was also an orchard, which was later known as the "Hall Orchard". A payment of 3/- was made for renewing 32 perches of hedges around it and 6d for scouring its ditches. A payment of 4/10d was also made for carrying 26 cart loads of hay from the meadows of the deer park to the castle and for storing it in the grange. From this, it would appear that a manorial complex had built up around the manor house from which the reeve and park keeper could administer the demesne farm. This included a 16 acre ditched enclosure, which must have contained the orchard and garden. Hay was even harvested from the castle mound. By 1406, and probably from a much earlier date, 136 acres of demesne land with the buildings, garden and ditch of the castle were being rented to the villeins for 53/4d per annum. This arrangement appears to have continued throughout the fifteenth century, but in 1550 the demesne land with houses, gardens and the castle ditch were leased to Thomas Gosnold by the King in trust for the town which had been impoverished by fire. By the 17th century the manor house appears to have been in ruins and the site eventually became a garden. 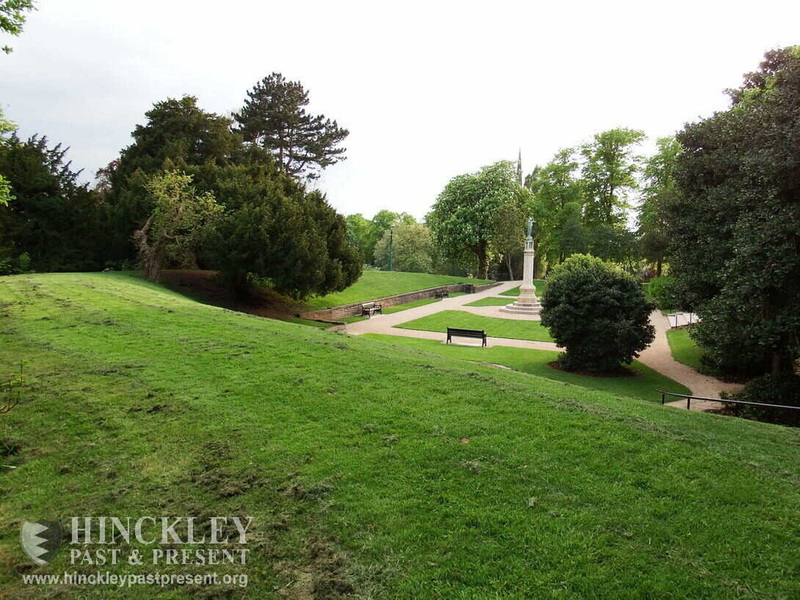 In 1760 it was purchased by William Hurst who built Castle Hill House on the site in 1770 (David J. Knight, Hinckley Castle (Hinckley and District Museum, 1998)). 'At Hinckley (SP428 938), the earthworks are often misquoted as a ringwork. In fact the surviving earthworks represent a substantial bailey, the motte having been entirely obliterated by development. 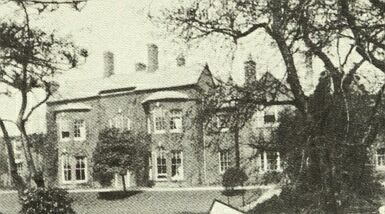 Its surrounding ditch was recorded during construction work in 1976 (Leics. SMR)' (Oliver Creighton, 'Early Leicestershire Castles: Archaeology and Landscape History', TLAS, 71 (1997), 21-36). 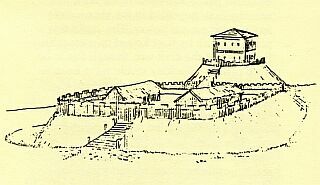 Parts of its impressive bailey survives but sadly the motte was destroyed in 1976. The large circular bailey platform, is still partially encased by a high rampart and a wide wet ditch. Hinckley Castle is located in the town centre, off Trinity Lane. 13 miles south-west of Leicester, on the A47-B4668. 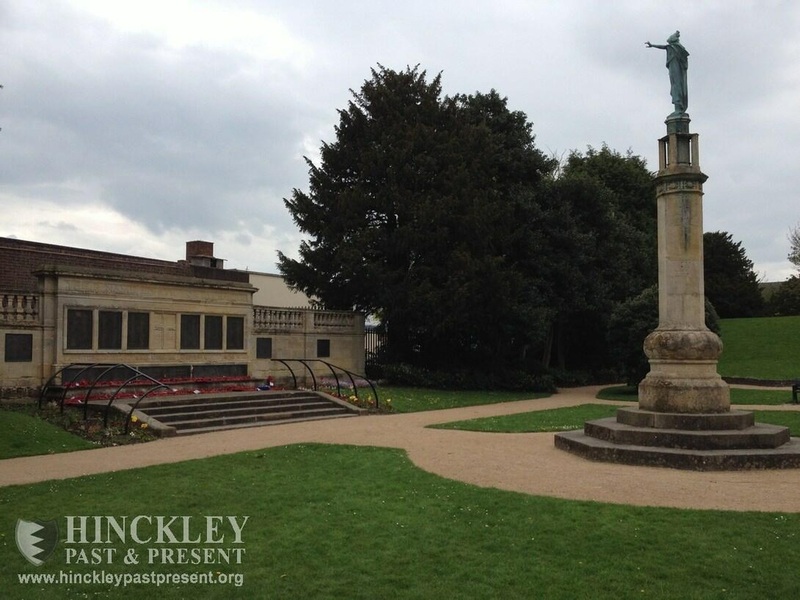 The site is in the War Memorial gardens and is freely accessible in daylight hours. Car parking is by the side of the road. Once the finest eighteenth century house in the town, tragically demolished in 1976. 'The ancient site of the Castle had, beyond the memory of the oldest inhabitant, been occupied by a gardener's ground; and the Castle-hill considerably lowered, by taking materials from it for repairing the roads; till in 1770, Mr [William] Hurst caused a handsome modern dwelling-house to be built.' (Nichols, Leicestershire (1811) , 677). 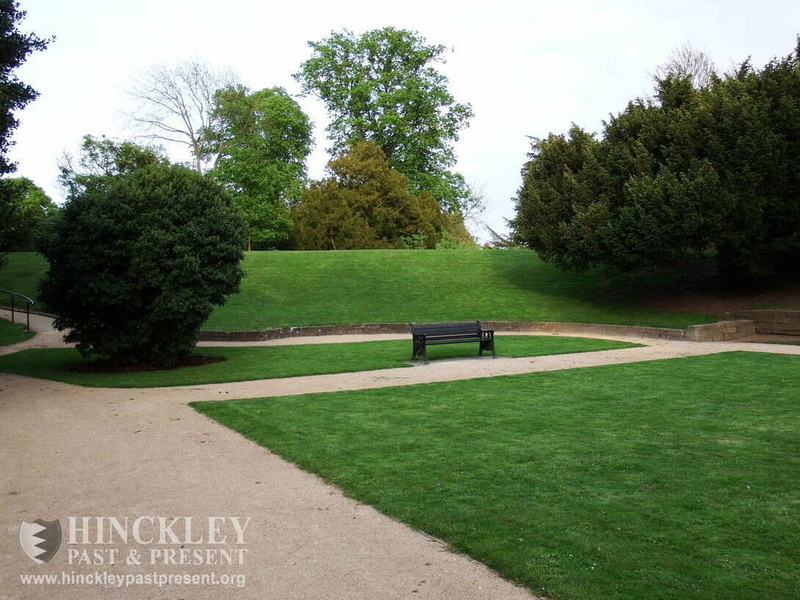 'The site of Hinckley Castle... was purchased [in 1760] by William Hurst, Esq., who built a handsome mansion upon it' (William White, History, Gazeteer and Directory of Leicestershire, 1863). William Hurst (1750-1793) was a hosier and High Sheriff of Leicestershire. After his death his son Nicholas lived in the house until at least 1805. The house was of two storeys with a symmetrical three-bay facade, redbrick with elaborate stone dressings/quoining etc. Projecting canted bays with tripartite fenestration to both floors. Pedimented doorway with Venetian window above. No doubt the work of a provincial architect, whose name has sadly been lost (a search of the Hurst papers at LRO has failed to identify him). Castle Hill House was the home of George Canning (1770-1827; Prime Minister in 1827) from March 1807 until April 1811 (after which he resided in Church Street, Burbage). He described it as a 'fine handsome house' with a garden right in the middle of Hinckley, and within easy reach of Dr. Robert Chessher. Chessher was treating Canning's son, Charles George, who was lame (Roger T. Austin, Robert Chessher of Hinckley 1750-1831, First English Orthopaedist (Leicestershire County Council 1981), 45). On 14 June 1820 the contents of Castle Hill House were auctioned on the premises (Leicester Journal, 26th May 1820). 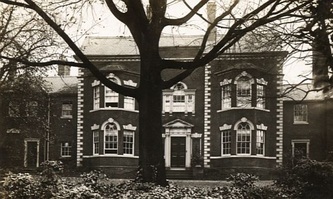 The house became 'a boarding school run by Harriet and Sophia Critchley from about 1828 until at least 1831 and was then the residence of Edward Ken Jarvis, a local solicitor, from about 1835 until at least 1844. In 1850-55 Mrs Catherine Ellis, a proprietor of land and houses, was living there, and by 1876 the property was owned by Stephen Pilgrim of the firm of Pilgrim and Preston, solicitors. It remained in the hands of the Prestons for many years, acting as the County Court Office' (David J. Knight, reference under CASTLE, 11). Castle Hill House's last use was as the headquarters of the Hinckley Co-operative Society, who took the decision to pull it down in 1976 in favour of a non-descript modern development. There is a photograph at LRO, taken shortly before demolition. Click here for a video walk through of the old Castle. Text and images taken from 'The Buildings of Hinckley' website © 2003 Tim Parry, except images marked *, which are Copyright © 2000-2006 'CastleUK.Net' All rights reserved and those which are watermarked 'Hinckley Past & Present'.